This week my card was inspired by Hand Stamped Sentiments color challenge of Real Red, Bermuda Bay and Pool Party. I used the new stamp set Christmas Pines and Pretty Pines Thinlits dies bundle along with the Pine Bough Textured Embossing Folder. I love the pine bough thinlets. There are three different sizes which create such pretty foliage. I also used the bow dies to create the Real Red and Bermuda Bay bows. The Pine Bough textured embossing folder created a beautiful background on the Natural Ivory card stock. After stamping the sentiment I used the 2-1/2″ circle punch to die cut it. I love this bundle. There are so many possibilities! 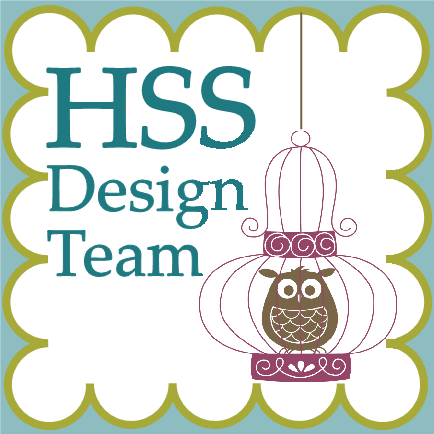 Hop on over to HSS and be inspired by their design team! The pines look awesome in these colors Genny! I love how fun and festive it looks!